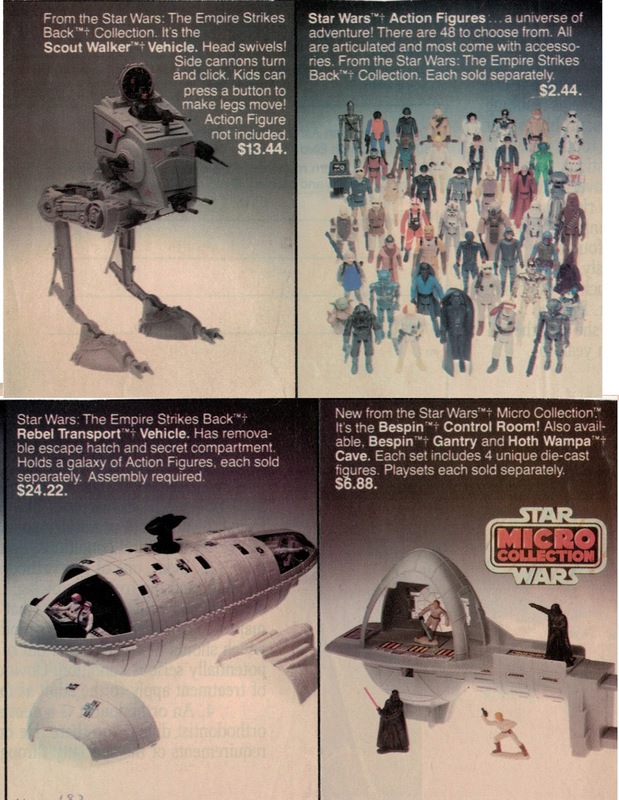 This is where i tapped out as a kid, 48 action figures was too much to "Collect 'em all" and I remember taking a hard line with Cloud Car pilot (I already had a Bespin guard). I may have been the exception but I really got into Black Hole and Star Trek TMP figures at this point. The micro collection is still one of those things I secretly covet, it's awesome. 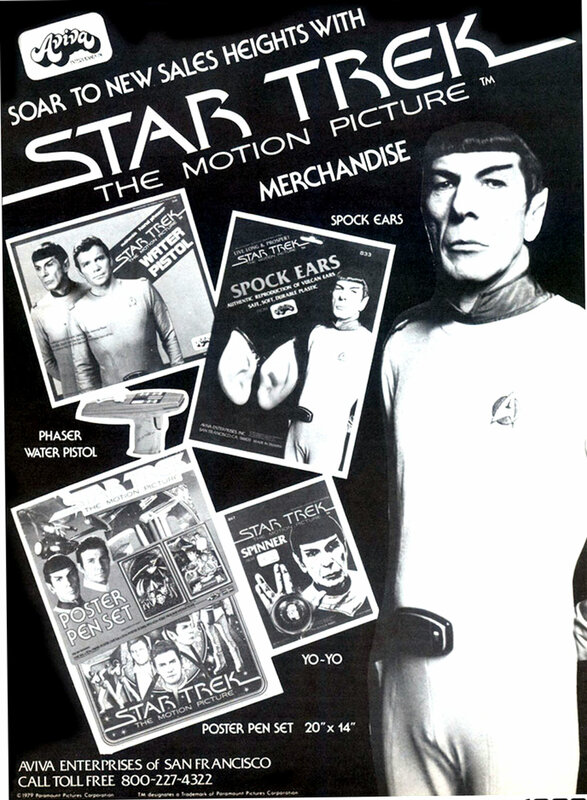 I absolutely love Star Trek: The Motion Picture merchandise, especially because I could still buy the majority of it at stores when I was in college. 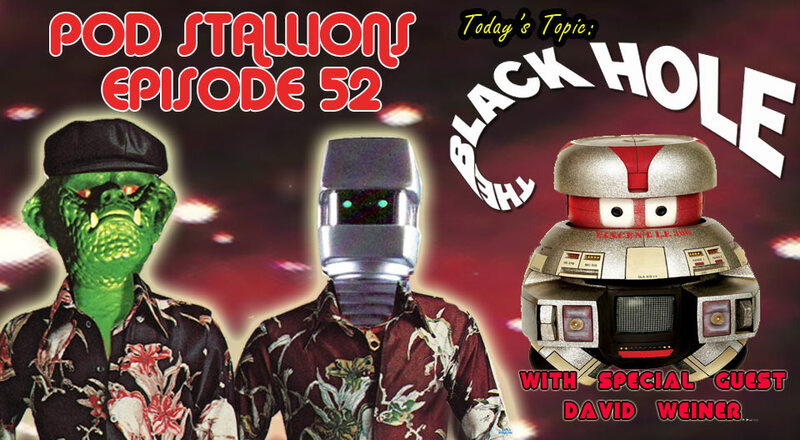 For our 53rd show, we are joined once again by former Famous Monsters editor and current host of "It Came From Blog" Mr David Weiner (@TikiAmbassador) for a rousing two hour discussion on Walt Disney's 1979 Science Fiction opus "The Black Hole". The conversation talks about the film itself, the it's origins and somewhat discordant tone, the interesting cast, what the ending might mean, the multitude of merchandise, it's trailer, the comic book sequels and of course, the attempted remake. 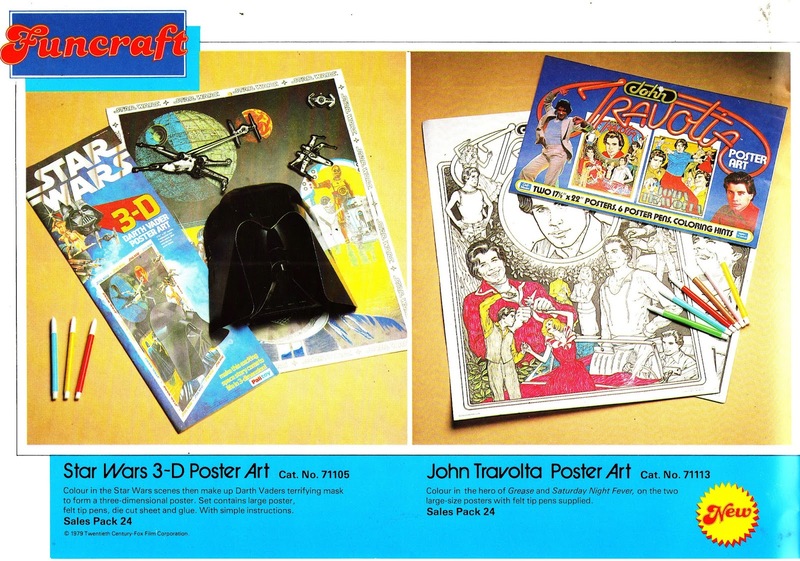 We also touch on subjects like Star Wars, Shreddies cereal (blech), Salvage One, Starlog magazine and Buck Rogers. It's jam packed with late seventies science fiction goodness. As someone who was cast out of his one and only D&D game for being too "Disruptive" (my local DM was kind of a tyrant) , I missed out on the whole TSR scene in the day. It was very similar to being the only kid who hadn't seen "Star Wars". 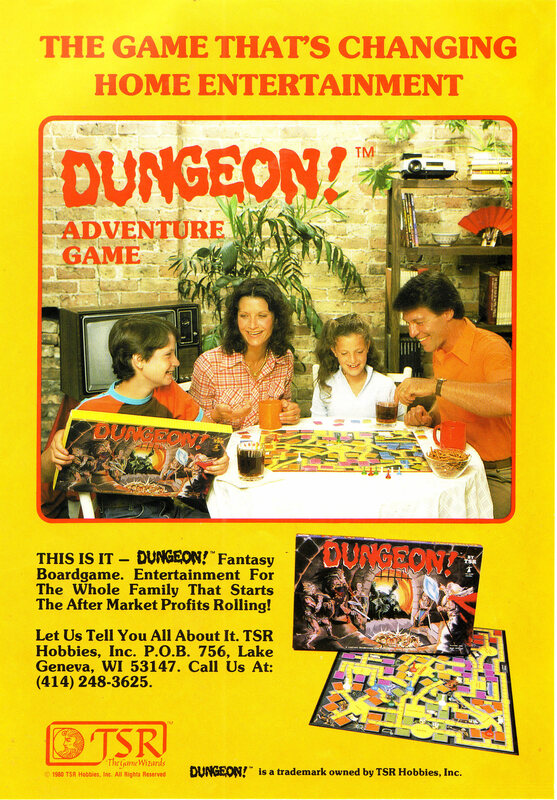 I mainly stuck to playing "Gauntlet" for my fantasy fix. I predict in the next five minutes, a group of children will witness a disappointing magic show. 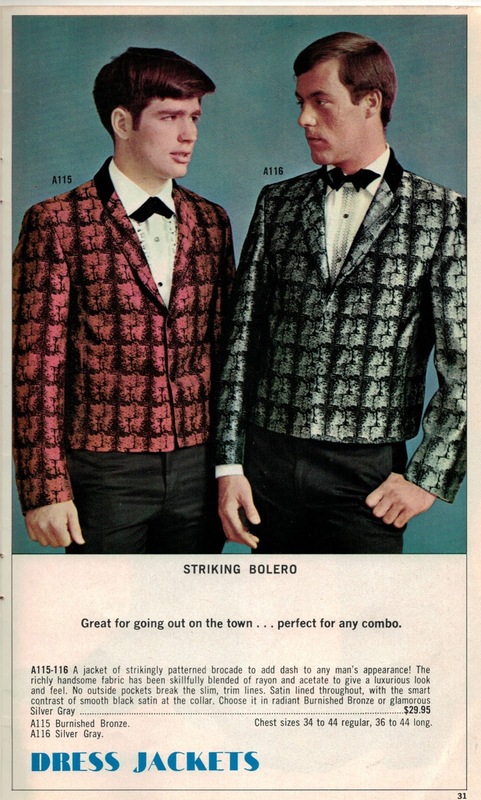 As cool as the Star Wars set is, I am disappointed that the Travolta set doesn't also come with a mask. 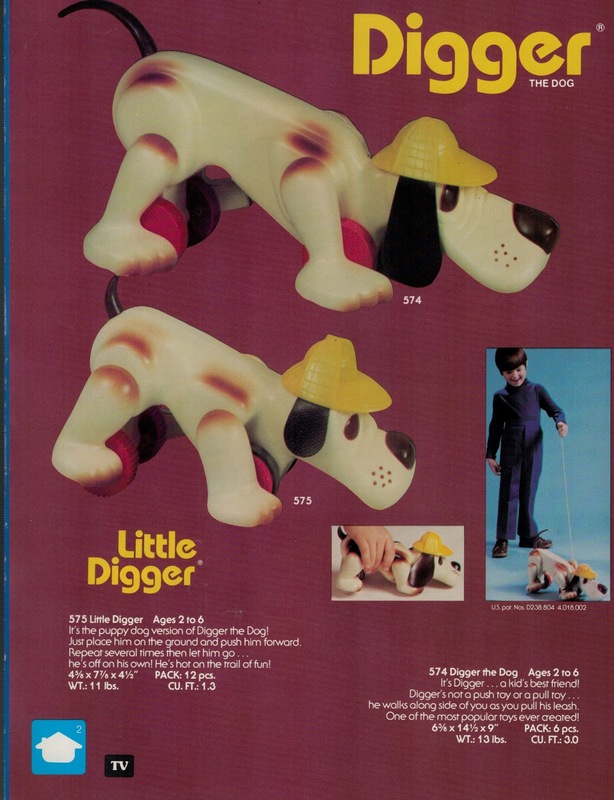 I think I knew more kids who had this guy than who didn't. I'm in the "didn't" pile. 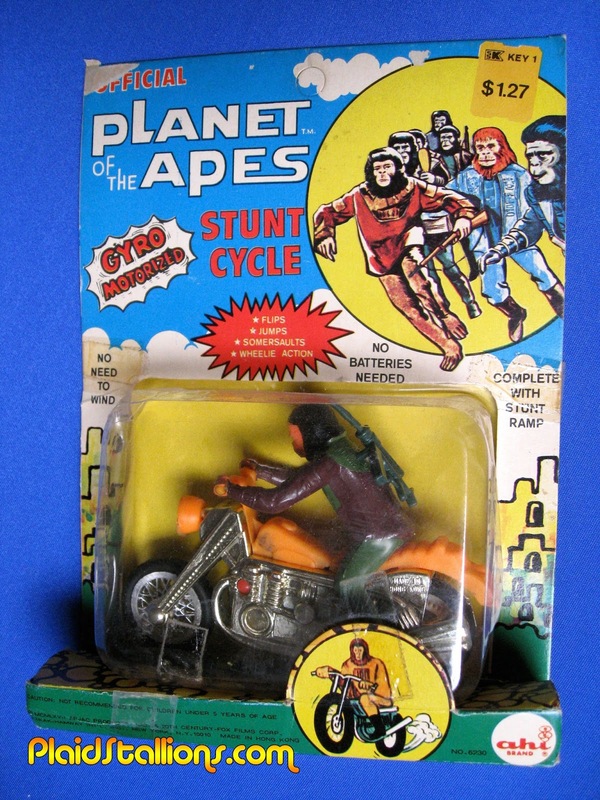 When it comes to Planet of the Apes merchandise, I honestly find myself drawn to stuff like this than anything else. Something about it just feels so....right. I imagine they're discussing "back sweat" right now. 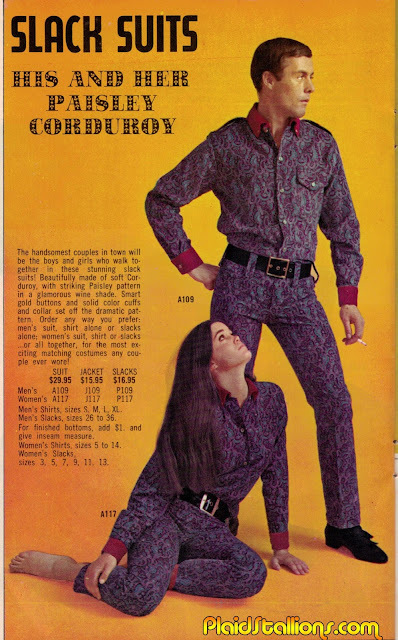 I could never talk my folks into such wonderful things such as this. 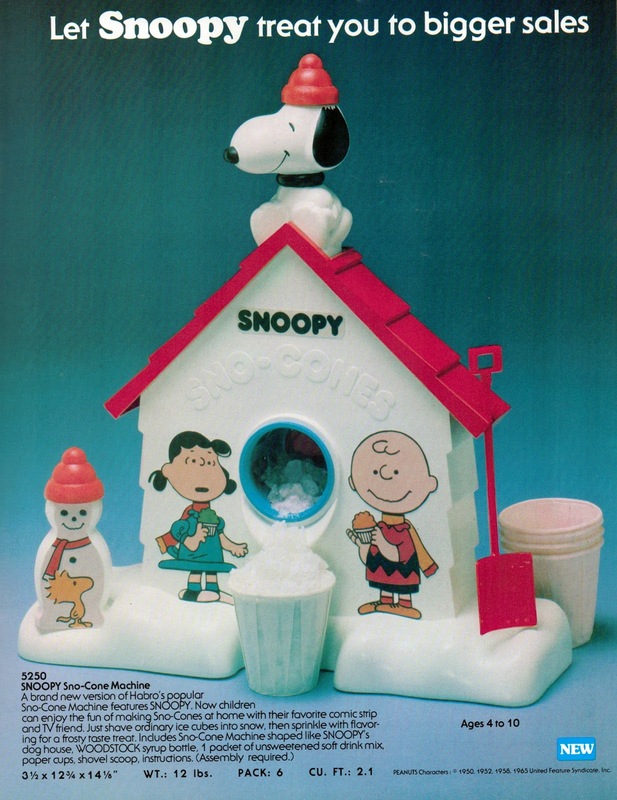 Did you ever try for a snack maker/toy, if so which one? 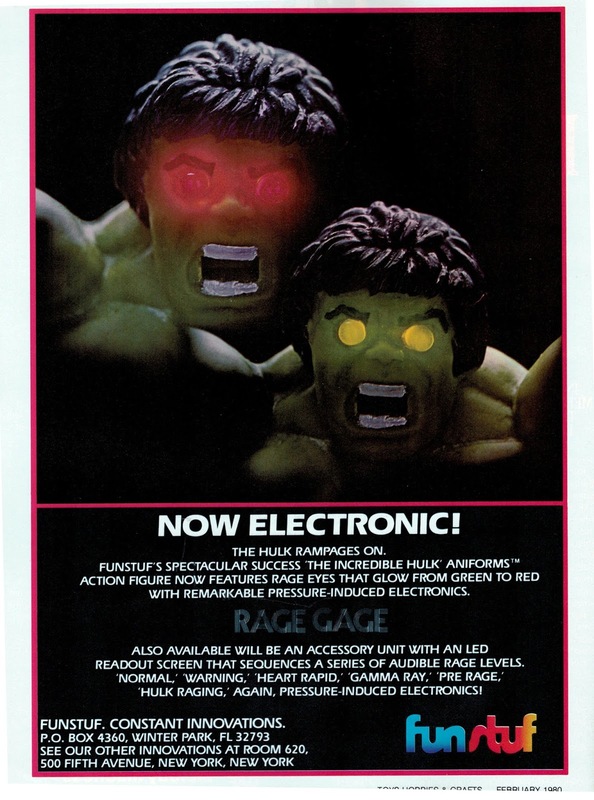 If I had a screen that readout my rage levels, it would include Driving, Paying Taxes, Home Depot on a Saturday, Waiting in long check out lines and then of course, Hulk Raging. 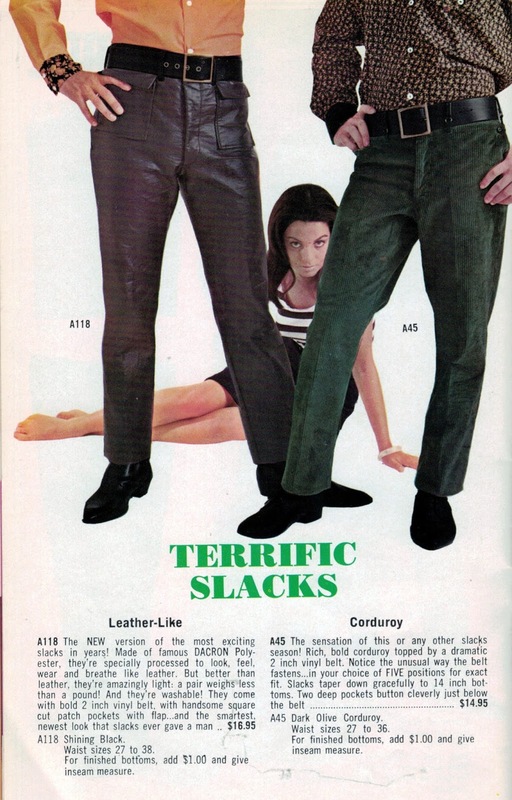 Your choice, non breathable pleather or the unwelcome, never ending warmth of Corduroy, you have five seconds to decide. 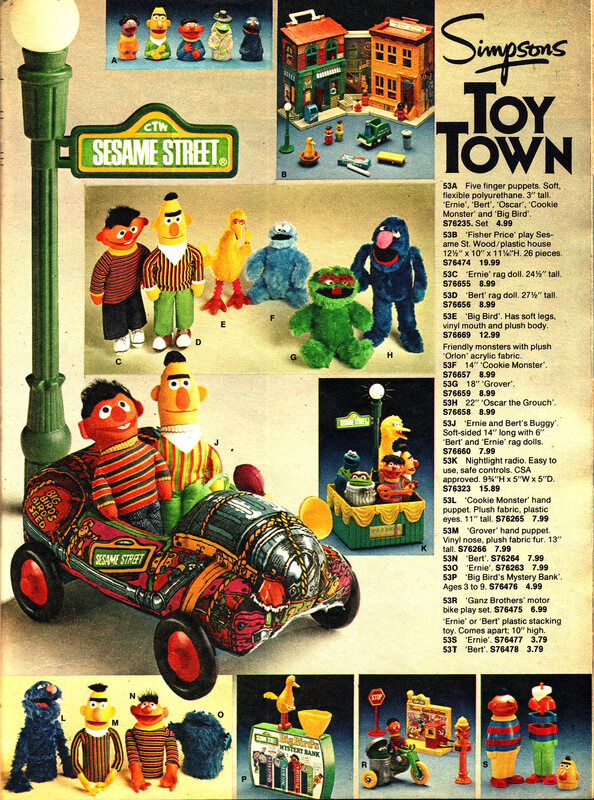 I vividly remember a shop window loaded with these toys and being fascinated with that garbage card, is Oscar the engine? I need to know!!!!!! 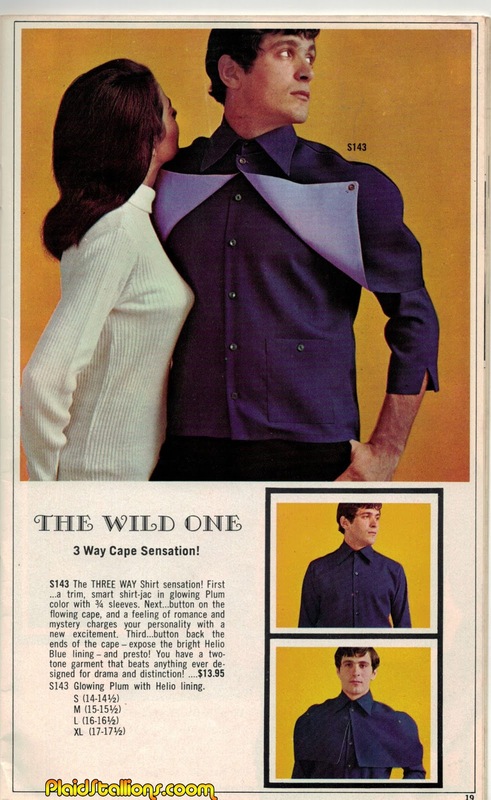 "button on the flowing cape and a feeling of romance and mystery charges your personality with a new excitement." Let's all have a minute of silence for the brave souls who believed this. 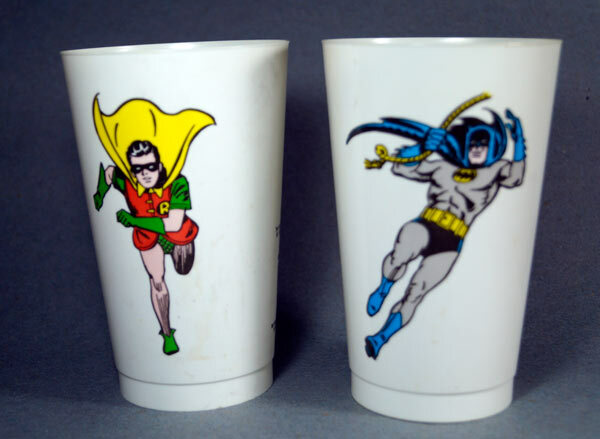 My mantra on these was to never buy them online but find them in the wild at the many toy shows, antique malls and flea markets I regularly haunt. I think I've put together a complete set and thought it would be fun to showcase them. More after the jump. 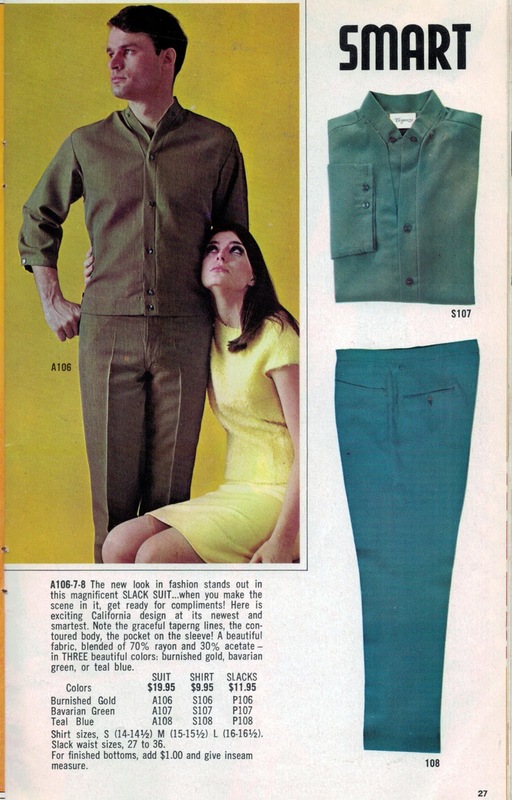 "My dear, you look positively frozen, come by the fire and get warm immediately! 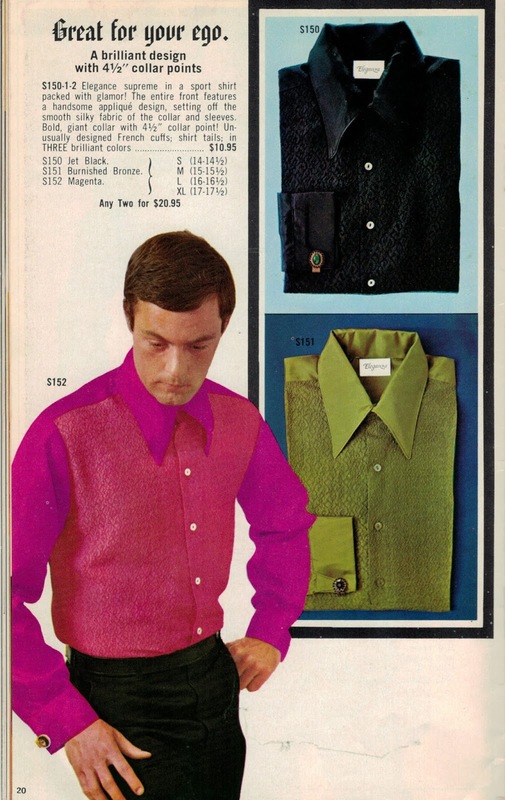 Can I interest you in a snifter of warm Dr. Pepper?" Being a toy collector, I am very drawn to "Catalog Exclusive" items even if i don't actually collect the line. 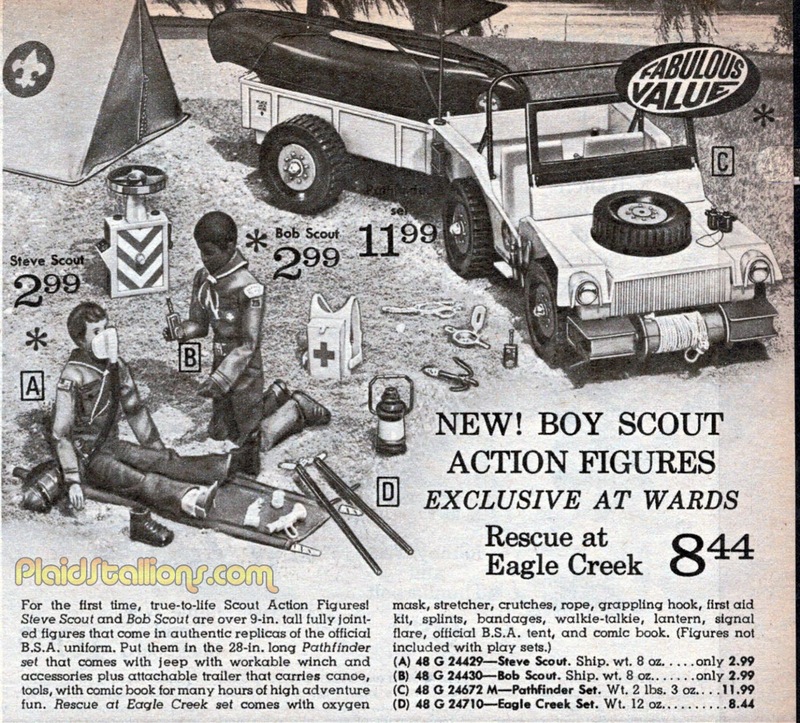 This Ward's exclusive set for Kenner's Steve Scout is new to me, anybody have one in the box? I'd be curious to see it. 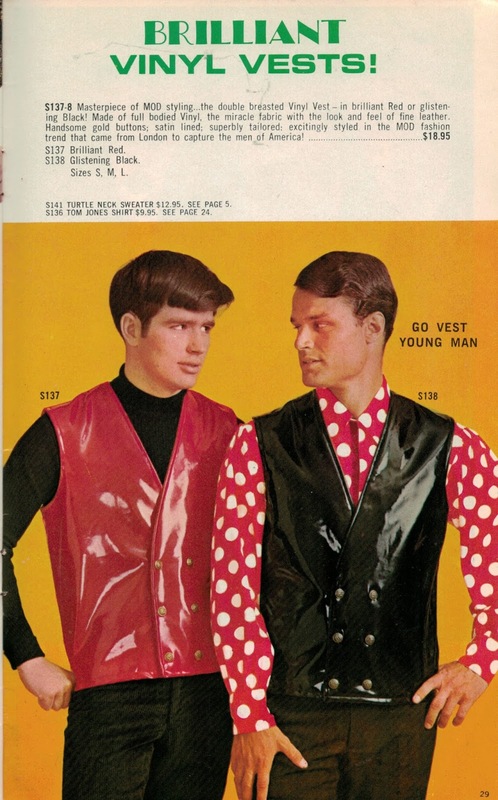 "Looks like we've got another mystery to solve Betty, let's get back to the van!"